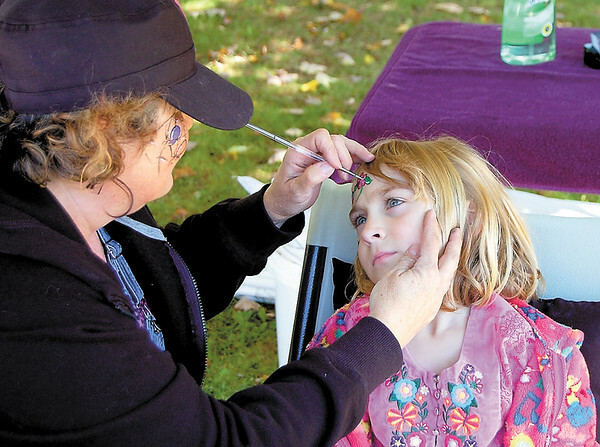 Harmony Hull, 6, gets her face painted during Saturday’s Pumpkin Festival in Volant. Harmony is from Fort Carson, Colo., where her father serves in the Army. She was visiting the festival with her grandmother, Becky Yoho of New Castle. — Photo by Sam Luptak Jr.